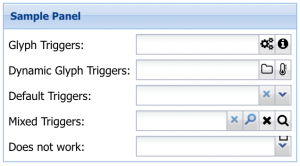 To set the icon in field triggers you will have to use the ‘iconCls’ property. Unfortunately there is a bug in the classic-theme (it works in triton-theme). In the override you can see new property ‘glyph’ and new method ‘setGlyph(glyph). The last one will let you change the glyph pragmatically. 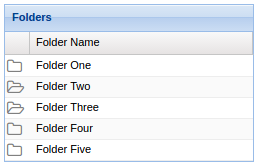 In standard grid columns we have a renderer property which is used to represent data in appropriate way. Unfortunately this feature is missing in action column but we can add it using the following override for ‘Ext.grid.column.Action’ class.